Facebook Retargeting is one of the best strategies that you can use to grow sales today. In LeadsBridge, retargeting is responsible for the 30% of our total sales with an exceptional ROI of 800%. Just to be clear, I’m not going to show you any ad here! This piece is about behavioral audiences. That’s right, what has caught my attention in these companies has been their ability to track website visitors behavior and then use these data to push specific messages that convert more. In other words, it’s all about how they use the Facebook Pixel and the Pixel events, and, (sorry newbies!) it’s a quite advanced piece that will walk you through the most brilliant marketing minds in the World. 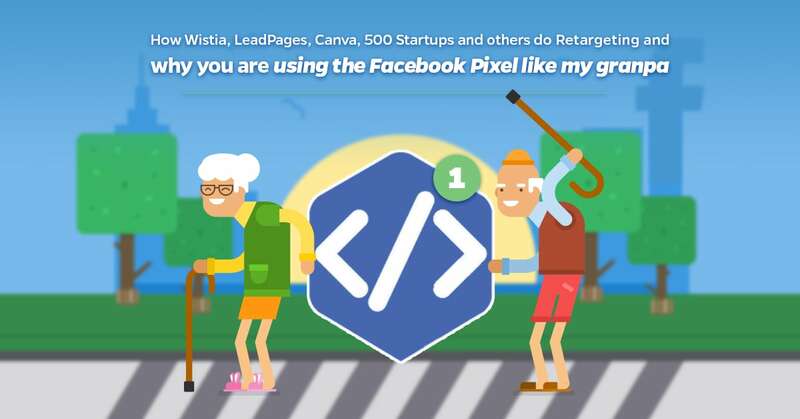 If you are not familiar with the Facebook Pixel, you can have a brief introduction here, and get a simple explanation of its advanced features (events) here. Facebook released these Standard Events to get more data from website traffic anyway; Facebook allows you to create and track custom events to pass even more accurate informations to your Facebook Ad Account. Sorry but, I had fun! It would have taken months. Boring! Marketing is creativity. Not only emulate but also get inspired! The data I’m sharing with you are available to everyone! 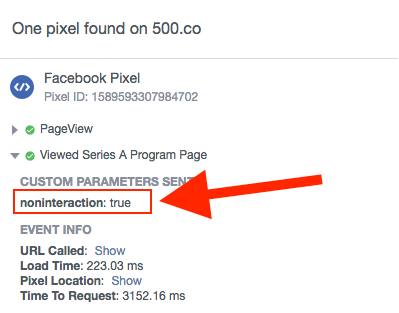 I used the Pixel Helper (Chrome Addon) to discover how companies use the Facebook Pixel. The Pixel Helper is born to help advertisers verify if the Pixel is firing correctly but… it’s also a powerful marketing tool because it reads all pixels and show you all the data about how the website you are browsing is using the pixel. Let’s start with something simple but very powerful! 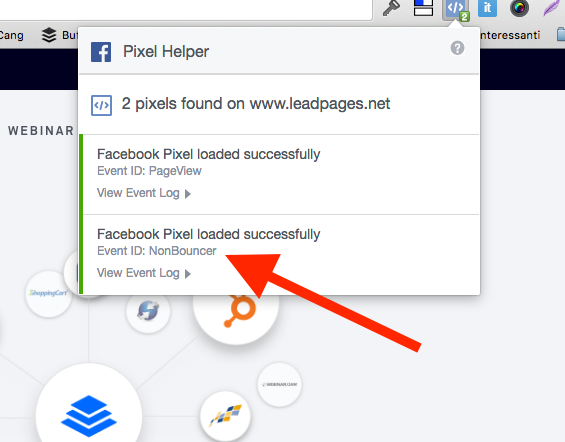 LeadsPages uses a simple but effective tactic to do retargeting, it fires just two pixel’s events as you can see in the screenshot below. As you can see the Event ID is NonBouncer. This event is not fired when you first visit the website. It’s fired only if you browse the second page. Which means that the marketing guys in LeadPages, track “a better audience” firing an event when the visitor (you) browse at least two pages. As said, this event is a filter. A way to track the best visitors if we can say that. There is also the time spent on the site that would be important here but basically is a good filter to have a more engaged audience on Facebook while targeting fewer people and consequently spending less and boosting engagement. 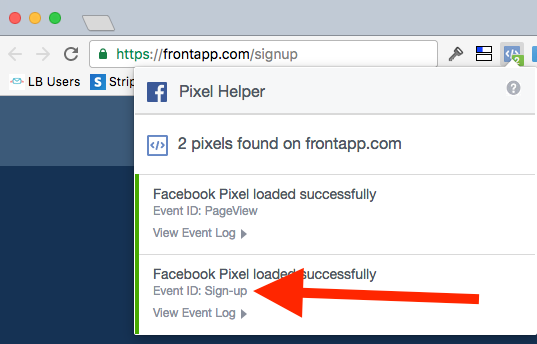 Even if this is a custom event, its role is pretty basic: it tracks when someone signup for a free trial. It’s something that everyone can do and could be crucial when it comes to converting trials in paid customers. With this event, Front tracks signed up users, and they can boost engagement with their app, giving advices and guides, and finally create urgency when the trial is going to expire! Simple but super efficient. Comment: Focused on improving a big metric such as trial-to-paid, congrats! It’s cool that they have a custom event per each page of their website… I’m not sure why they do that because they could just put the URL while creating the audience. This parameter could change the way I see this setup because it’s a good way to track engagement (similar to the LeadPages setup), but this parameter doesn’t change whatever I do on their website. This sounds like a “tracking obsession” more than a smart tracking that uses technology to get results. Probably I’m missing something but, from what I can see, everything of this setup is worthless. I don’t know which value they add with this setup. Everything they did with the Pixel custom events, can be done with an ordinary Facebook Pixel unless, as said, I’m missing something. Udemy uses another quite simple but effective way to do retargeting on Facebook. Udemy just tracks categories! What could be easier and powerful than that? As a marketplace, obviously I won’t click an Ad if I’m looking to learn how to do videos while Udemy shows me a mobile app development course. Well, I guess it’s quite easy to understand how these custom events can be utilized. Particularly for visitors that didn’t convert at first, showing them a Product Ad could be really effective. Well done! Comment: Not too specific, wider enough to create brilliant retargeting campaigns. Confusing, but maybe for good reasons. I guess there is an old setup here since there are two conversion pixels. I’m confused because there is the standard event “Lead” when I’m not signed up yet. 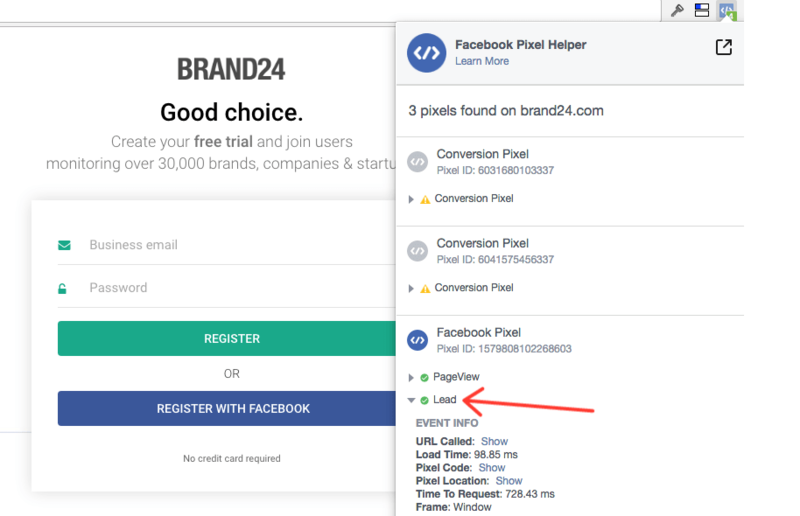 The Lead event can be used in different ways, depending on your business, it’s really up to you but, in this scenario it looks that they are tracking people visiting the signup page, that’s all. This can be done by URL without the need of standard or custom pixel events. I’m not sure here how Brand24 use these data, anyway, in a sophisticated funnel as the one of a SaaS, there may be good reasons for a setup like this one. Each stage of your funnel could be tracked with Facebook (we’ll see how later) to show a different ad that stimulate to move forward. Nowadays, it’s really important. Comment: Maybe, an unnecessary use of standard events. 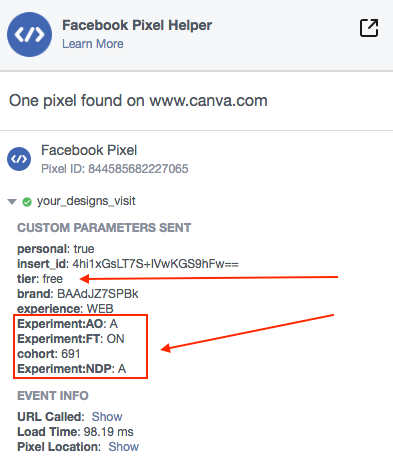 Transferwise uses the Facebook Pixel in an exceptional way, creating a custom event called “Calculator” and pushing the selected values on Facebook. 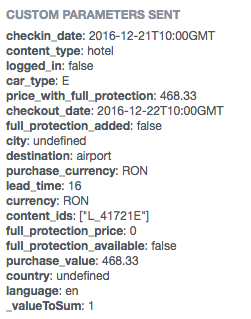 As you can see, Transferwise is tracking mostly everything you can do, and with these data they can create an enormous amount of ultra-specific retargeting campaigns. And the sourceValue parameter can let them spend money on Facebook only on people who think to transfer huge amount of money. Great job did by Fiverr! The Enrichment custom event is great and passes lots of information about the users. This information is great for retargeting, and they can create specific audiences and get results. They are passing on Facebook all vital informations about their users. Retargeting campaigns are created around how users use the marketplace. Nothing is more appropriate to say that they show the right message to the right person. Rental Cars has one of the smartest pixel setup I’ve ever seen. They do exactly what Facebook suggests! Track micro conversions with standard events. They track each stage of the funnel, which is useful to understand how campaigns perform. Just to give you an example: 100 people that just search something on your website (1st stage) are not the same as 100 people that have initiated the checkout process (3rd stage). You can understand a lot from micro conversions and decide if the campaign needs more time to produce sales reading these data. Which are great to retarget people who didn’t complete the order, use scarcity and use the data for future promotion. Just perfect! Here it’s not all about retargeting. It’s also about optimization! In Facebook, you can optimize the campaign telling Facebook how the targeted audience is firing events (how they are doing within the funnel). So, depending on how people are firing the different stages of the funnel (search, AddToCart, InitiateCheckOut, Purchase), Facebook will auto-optimize the campaign to reach the deeper stage. High five! What do you think? Are they going to convert more, aren’t they? Comment: I really want to meet these guys. Of course, Wistia is on this list! When it comes to applying an advanced marketing, they are the first to come! 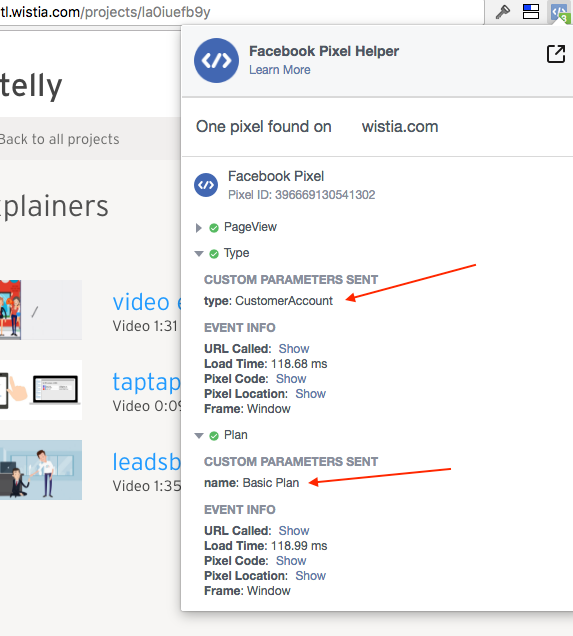 Wistia pushes two custom events: Type and Plan. With them, they can pass important data about their customers allowing them to have better retargeting campaigns. 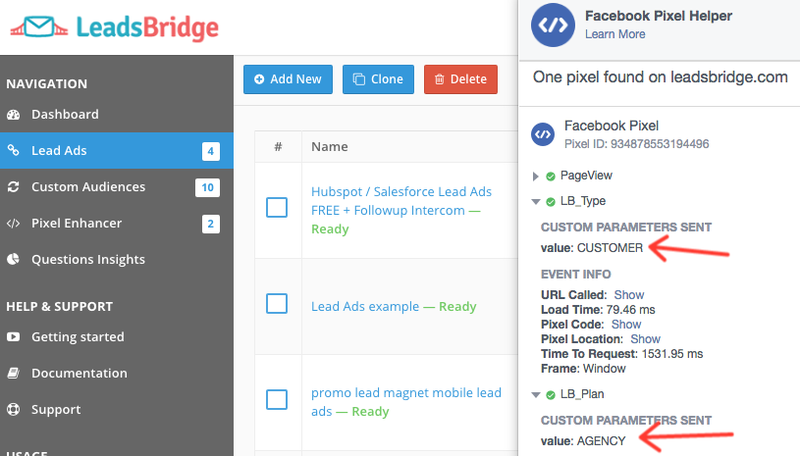 Super simple custom setup that allows them to create retargeting campaigns excluding customers, even if they are using the product in a team and, it allows them to stimulate upgrades. When it comes to doing retargeting, excluded audiences are crucial! This way you can avoid any drop in performance and conversion rates. Also, passing the plan data to Facebook allows them to sell upgrades… In the era where Facebook advertisers use Facebook only to acquire new customers, this retention strategy is gold, learn from it. We send to Facebook two events, basically the same thing as Wistia does. What we probably do more than Wistia is track trials which allows us to retarget users during the trial stimulating and educating users in using the product. As Wistia, we do have upgrade offers that we launch on the lowest plans as well as a recovery strategy when users close the account during the trial period. I totally love these guys! Baremetrics tracks users that click on tooltips… which is a little bit strange in my point of view and I’m not sure I understand why they do this. The only idea I have is that they are using the Facebook Pixel to have an internal metric, to understand how many users click on the tooltips. But this could be done with other tools, that’s why I’m confused. I’m not sure about how they do retargeting. Tracking clicks on tooltips could be a good metric to filter people that are using the product more than others (?) but actually it’s something that I’ve never seen and imagined before. Another idea could be about the education retargeting. If the user clicks on the tooltip, he knows where to find content and learn how to use the platform. 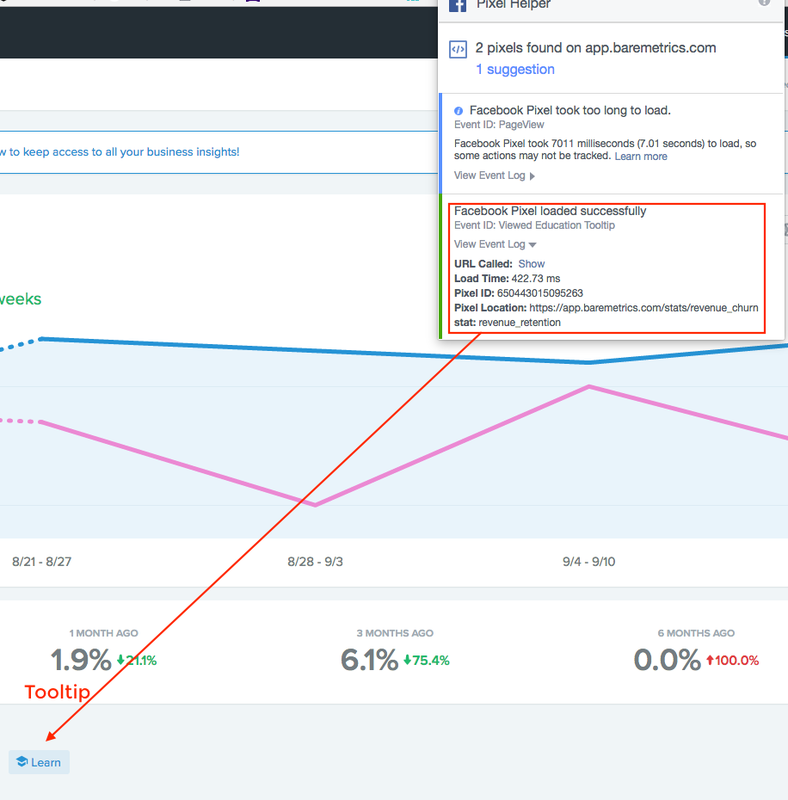 If the user doesn’t, Baremetrics can show content, increase sales and decrease churn. Maybe Josh can clarify this. Lots of information passed to Facebook which is not easy to understand why. 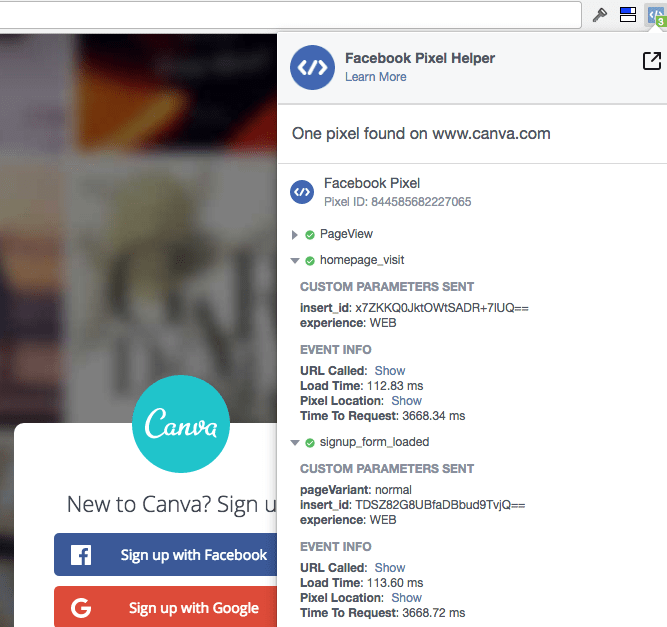 Moreover, Canva is tracking additional information when you are logged in, there are curious parameters about some experiments, that look more like a split-test than an advertising strategy. I’m not sure about how they use these data, but I bet there is a good reason for it. My hypothesis is that they are using a sophisticated Dynamic Product Ads or they are crossing split-testing data with Facebook. I have no ideas on how they use these data, but it looks like a powerful setup. Since I guess they have millions of users, they can retarget people based on a very specific behavior, a behavior that maybe they already analyzed and that bring conversions. Yeap! Google does retarget on Facebook! The smartest, there are some genius in this company! The reason why you see “Google” in the Pixel Helper is that Get Stencil works as a Chrome Addon. They fire the Facebook Pixel whatever website you are browsing when you use their addon. And this is just brilliant! 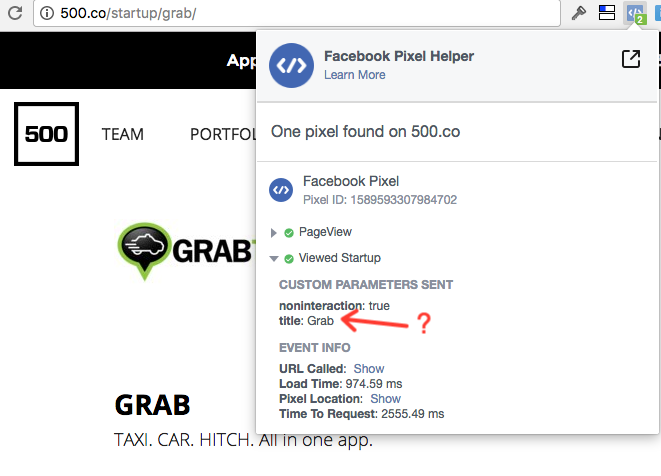 Instead of firing the Pixel only on their website, they track you while you use the Chrome Addon. I’m not totally sure if this is ok with the Facebook policies but the reality is that, when you launch their app inside Google Chrome, you are actually launching their web editor, so, theoretically, they are not breaking any policy. Moreover, they are firing additional custom events to track how you use the app. Congrats! Firing the Pixel with the Addon Chrome is a genius move, it’s solve an essential problem that you could have when someone use your product but they are not obligated to navigate your website. How can you do the same? How can you stop using the Facebook Pixel like my Granpa?? In the last two years, Facebook released outstanding features for its Pixel. And lots of them are still unknown to most of the advertisers. I talked with very smart guys and important advertising agencies and still, they don’t know anything about the Pixel. It’s time to change. I do not like to criticize but Standard and Custom events are not a new product, they have been released from a long time, and if this is the first time you heard about them, you should start using them right now because they can help you get more sales and improve retention. 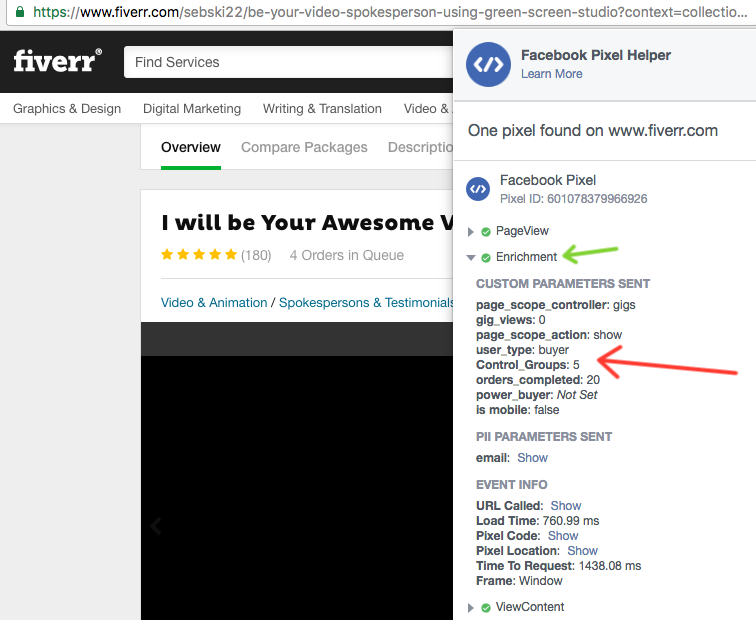 We shouldn’t wait that Facebook Ads become super-complicated before apply strategies that can bring more conversions. 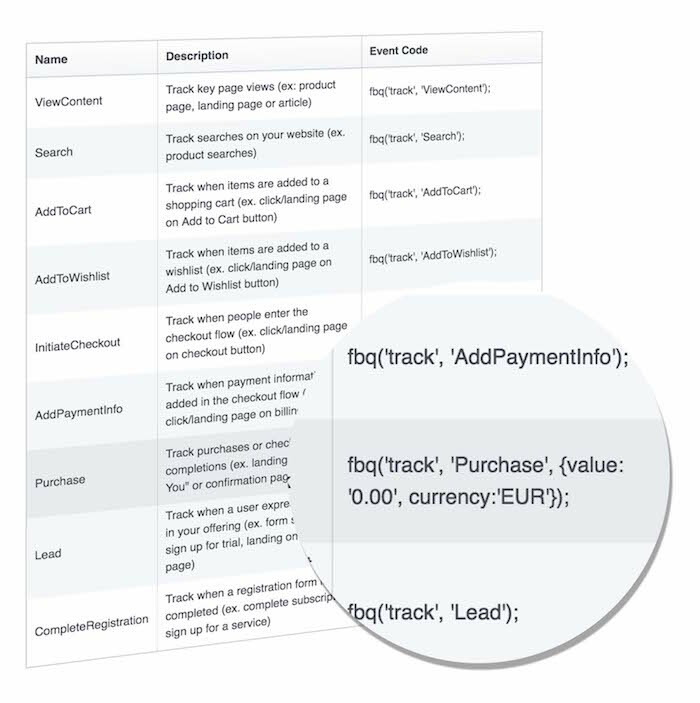 To get started with Standard and Custom events, you can read this Facebook doc which explains how to implement it on your website. Also, there are tons of guides online that will tell you how to do step by step. Finally if you’d like to avoid any technical thing, you can use our Pixel Enhancer which is the simplest solution to fire additional micro conversions to your website. Pixel Enhancer has a Visual Event Picker that you can use to fire Pixel events just browsing your site. Here a video that shows you how. If you like this post and you’d like to add something, please feel free to share your thoughts in the comment box below. Finally, I hope that you enjoyed the post as I enjoyed to write it, and I hope it will help you do a better job with your Facebook retargeting! Online marketing consultant since 2006. Co-founder of LeadsBridge and many other growth hacking tools. Stefan, this is wonderfully useful information. You have just educated me about something I wondered about but did not understand. Now I know what to do (and I’ll find out how to do it). Thank you for the excellent content! Such a great and in-depth article Stefan. Throwing around some great knowledge bombs in this post! Hi, this is such a great article, I wish I’d found it in 2016! 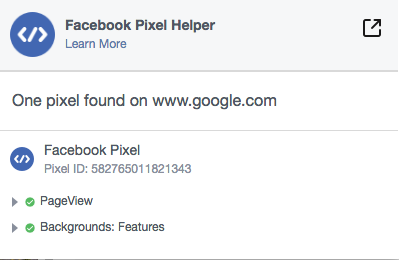 However, things have changed (either with Facebook’s Pixel data as sent, or with the Pixel Helper extension) and the same information is not available, as far as I can tell. Any suggestions on a replacement? Do you still use the PIxel Helper? Hello! Yes Facebook changes so rapidly! However, at the moment (2018) the pixel helper is still available and we all still use it as a chrome extention.